The more interaction I have with others, the more I'm trying to decide where I stand on this whole West Virginia thing. Do I think Pitt fans are somewhat bitter about having a great program for nearly a decade and having no Final Fours to show for it, while WVU reached one this year? A little. I know I am. There are plenty of good reasons for both sides. On one hand, there's the whole 'root for the conference' thing going on. The Big East has struggled and it feels somewhat good to have at least one conference rep in the Final four. Then there are the folks who will root for WVU because of their proximity to Pitt. Along that same line, I think you've got casual fans in the area who aren't huge fans of either school, but always will root for both to do well. On the other hand, you've got the contingent that won't root for WVU no matter what. Too big a rival for Pitt and when you mix in the fact that Bob Huggins is despised by a number of people, it's easy to root against them. Further, since Pitt hasn't been there themselves, there's even more disdain for the Mountaineers. I was listening to a radio show today and someone mentioned that WVU making it to the Final Four will actually help PITT'S recruiting. The thought being that Jamie Dixon will be able to tell recruits that they can play against the NCAA Champion if WVU would happen to win the title. I think that's a bit of a reach. Recruits already get to play in the Big East, which has had numerous Final Four teams in recent memory and three NCAA Championship teams in Syracuse and UCONN in the past 11 years. I don't think adding one more team will make that much of a difference. The Big East is already widely seen as the best league in the country. At the end of the day, I can't bring myself to root for WVU. I don't like the team, don't like the coach, and find it increasingly difficult to find even one reason other than the whole conference thing to hope they win a title. And about that whole conference thing - I find it much easier to root for other Big East football teams than I do Big East basketball teams. Big East basketball is already renowned nationwide. The football conference is still trying to gain respect and it's much easier to root for the football side to do well. "having a great program for nearly a decade..."
Great? what are you talking about? Personally, I don't see how Pitt couldn't be considered great in the past 10 years. 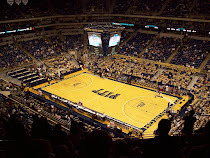 From 2000-2009, Pitt ranks eighth in the NCAA in victories. In the past nine years, they've made the tournament and have an Elite 8 and several Sweet 16s to show for it. Further, they've been ranked #1 in the country during that time and have been in the top ten in the national rankings several times. Great isn't the same as elite. Elite programs such as UCONN, North Carolina, and Duke make Final Fours and win National Championshpis. Pitt is not at that level yet, but when you finish in the top ten for wins over an entire decade, you're doing something right. I have no hesitation calling Pitt a great program over the past decade. 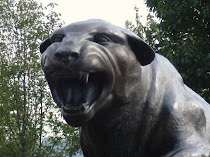 Pitt isn't just quite elite yet... getting there.. and with jamie... i am confident it will. Yes, I think they'll get there eventually. It just takes a while to build programs up and Pitt was built up from practically nothing when Howland/Dixon came. Recruits are starting to get better and I would expect this team to be pretty good in two years. Next year should be a little better than this year, but I'm not expecting a Final Four run. Two years from now should produce a very good team providing everyone sticks around. Since when does being a B student for 10 years make one an A student? I think we're just disagreeing over the definition of words, really. There are probably about 6-8 programs that I'd call Elite in the past ten years. Is Pitt as good of a program as Georgetown all-time? No. But in the past ten years? Absolutely. Over the past ten years, Pitt has been one of the best. Maybe not one of the 6-8 best, but one of the top 15 for sure. I would put Duke, Kansas, North Carolina, UCONN, Syracuse, Michigan State, Florida, and Syracuse ahead of them for sure. Those teams have all won titles this decade. I'd give the edge to UCLA, too, with 2 Final Fours. But after that, I don't know how many teams you can say for sure have definitively had better decades than Pitt. That's off the top of my head. You may be able to name a couple more, but when looking at the entire decade, few teams have had the consistency that Pitt has. Consistency isn't everything, but making a Sweet 16 is significant. No other team other than those listed above have more Sweet 16 appearances than Pitt (five). I'd say Pitt is definitely one of the top 15 teams this past decade. Out of the 347 D-1 teams, that would place Pitt in the top 4% - 5%. And I would consider that great. Not elite, but great. Your points are valid. My view is that "great" is better than "elite". Yours is the opposite. I am a Pittsburgh resident for 20 years, and A Mountaineer fan. I hear the words "great" recruits and "great" teams far too much when all they are is just average. Name a great team or player? The ones I can name are Dorsett and Marino. Sure a few good players and teams, but none "Great". BY the way your dislike for WVU and Huggins? I feel the same about Pitt, mostly because of their condescending fans and media. As far as the unruly fans, I am for expelling them if they get out of hand, identifying them only by the city and state they come from. (many PA kids go to school at WVU and many hate Pitt). Yeah, I think we just had a bit of disagreements on the actual word being used. I don't think Pitt is in the upper tier of teams right now and I certainly wouldn't place them there without making at least a few Final Four appearances or winning a title. Regarding great teams, Pitt hasn't had any since the days of Marino and Dorsett. The past two years, I'd call them very good, but nothing more. I would, however, call Larry Fitzgerald great. He was for one season the best wide receiver in college football and could have easily won the Heisman as a sophomore. Personally, I don't have a great dislike for WVU, despite the way my post may come across. I view them as Pitt's strongest current rival, and as such, cannot root for them. Further, as I mentioned, it's got to be hard for Pitt fans (it has been for me) to see WVU have a few good years this decade and make a Final Four, while Pitt has had nine straight 20-win/NCAA Tournament seasons and has not gotten there. So as a Pitt fan, I'm obviously a little envious of the situation WVU is in. Further, WVU has what I consider to be the best team left, so I think they have a good shot at winning the entire thing. Huggins is a different story, though. I genuinely dislike him and have a problem with his past graduation rates. I can understand some down years with players graduating, but his teams have always struggled in that area. And I would expect you to dislike Pitt as well. It's just the nature of it. What about Dixon and Wannstadt's graduation rates? Certainly no geniuses at Pitt either. I don't hate WVU the team, but I do hate the fans and the coach.